Where else can you stay in a bedroom like this without having to take out a long lease? 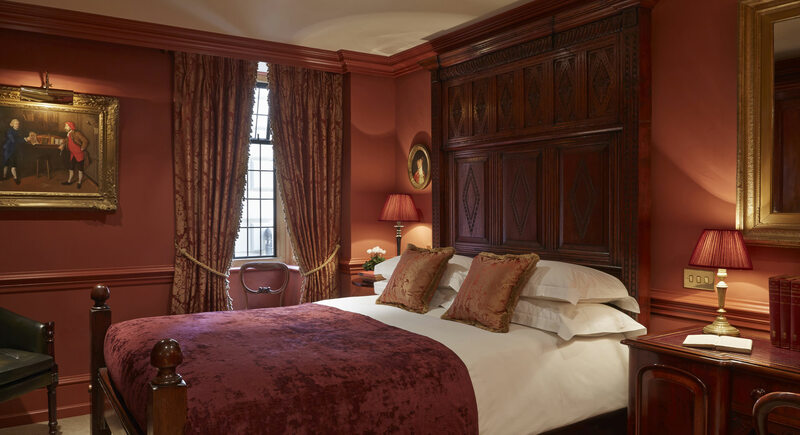 The beds are either 17th Century carved oak or Georgian four posters. We take bathrooms seriously. Ours have restored period fittings, many with cast iron roll-top baths, restored Vintage showers and high level cisterns. All rooms are air-conditioned and have complimentary Wi-Fi, flat screen television, mini bar, safe and REN toiletries.